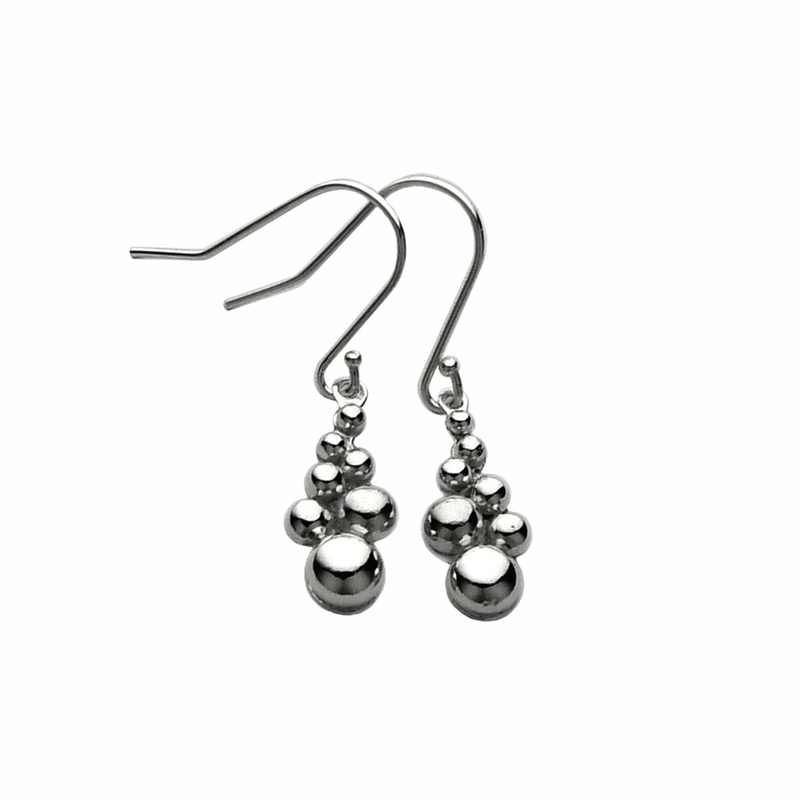 Let these lovely sterling and fine silver bubble drop earrings surround you with beauty and effervescence. Wear them as a reminder that we are also our Creator’s miracles. These simple yet elegant earrings are created in solid sterling and fine silver by melting silver into different sized balls that are then cleaned and soldered to a sterling silver back. They have a nice weight and swing to them and sparkle with your every move. 5/16″ wide by 3/4″ long not including ear wires. Ear wires are sterling silver. Purchase as a set with the Silver Bubble Pendant and receive 10% off!